This is part two of the workshop program in China, coorganized by IED-Madrid and EMAHO Magazine. After the its first edition at the Central Studios in Shanghai, Joan Villaplana will hold the second Masterclass on Beauty, Ugliness and the Sublime at at the Pingyao International Photography Festival, China, on Sept. 21. Beauty has been marginalized in the Western Arts for decades. In contemporary photography, Ugliness and the Romantic concept of the Sublime have been taken its place. What is our problem with beautiful images? Why do we ban them, and, could beauty recover its central position in art? This workshop analyses the role of the Sublime in contemporary landscape and cityscapes, and questions why are we interested in the ugliness of our societies. We will also debate the Chinese conception of beauty related to the Western concept of aesthetics and image making. During this one-day workshop, IED faculty member Joan Villaplana will analyse the basic aesthetic concepts of contemporary fine art tendencies and talk about its visual language. Working from examples of selected photographic projects, he will show current tendencies in dialogue with other media, such as traditional and contemporary painting, video and cinema. Apart from learning about the theoretical concepts, the participants will find out which cameras and techniques are most suitable for which kind of themes: small or digital medium format? Large or small prints? Books or installations, or even video? Graduated from the Universitat Pompeu Fabra of Barcelona in Humanities, he teaches aesthetics and Fine Art Photography in the European Master of Fine Art Photography at IED (Madrid) and IDEP (Barcelona). His work has been exhibited in the China Pingyao International Festival of Photography, The Central European House of Photography (Bratislava), Lumen Foundation (Budapest), Fotofestiwal (Lódz), Kaunas Photo Festival and PhotoIreland. He has also contributed in newspapers and magazines such as Le Monde Diplomatique, La Vanguardia, Financial Times, The Wall Street Journal, Prensa Libre, Surface, Etiqueta Negra and On Diseño. The Luminary staff work closely with each resident to facilitate the space, knowledge and collaborative opportunities (with artists, curators, local residents and other organizations) necessary for their work. Residents are provided free housing, studios, stipends and opportunities for public engagement such as exhibitions, lectures, studio visits and workshops. Residencies are available year-round from one week up to three months. Please note that the program is not active in August or December. Applications are now open and due Tuesday, September 1 for all 2016 residencies, for residencies taking place throughout 2016. To apply, please fill out the online application. Please note there is a non-refundable $25 application fee. Little big press is a project started in 2010: a series of exhibitions, a travelling library and bookshop devoted to self- and indipendent photobooks. The first exhibitions tooks stock of the most interesting publications both in Italy and abroad, and contributed spreading in Italy the photobook culture and events where photobooks were conceived as art objects. Little big press then deepened the research through setting up strategies the aim of which was to underline the peculiarities of the book form, the publishers and book designers role, the questions connected on the one hand to the layout and materials and on the other to the photographic project narrative dimension. 1 F: Which are the 5 indispensable pictures for this book? BD: What is the framed structure of this book? 2 F: How did you choose your book designer? BD: What was your approach to get into the photographic project? 3 F / BD: How did you develop the work on the book? 4 BD: Which narrative slant did you choose for this book and why? F: What’s the difference between the book and the photographic project slant? 5 BD: How did you choose the materials and the kind of printing? F: How the materials’ choices are connected to the photographic project? On the occasion of FotoGrafia 2015, “The Present”, Little big press* focuses on 7 books published between 2014 and 2015 investigating their peculiarities through an exhibition both in horizontal and vertical plane, engaging in a dialogue both the photographic project and the book object, the designer’s and the photographer’s work. The setting up will be integrated with brief interviews with photographers and designers and enriched by the presence of the book itself, of elements such as inserts, covers, the first dummies realized or materials that inspired the different stages of the book project and making. Download here the application form! 20 book among the most interesting proposed will be on show beside the 7 selected books. The books will become part of Little big press library, available for consultation and used in future exhibitions. PhotoVisa call for entries is open! – PhotoVisa is an international festival of photography held since 2008 annually in Krasnodar and Krasnodar region, Russia in October — November. – The theme of this year is The Language of memory, and can be presented by works created with both analogue and digital media, including manipulation of the photographic image. – The contest is held in 3 nominations: Single photograph, Photoseries, Multimedia Project (photoclip). – The contest has submission time from: June, 20, 2015 to September, 6, 2015. 11:59:59pm (Moscow time). – The jury works online from: September, 7, 2015 to September, 20, 2015. 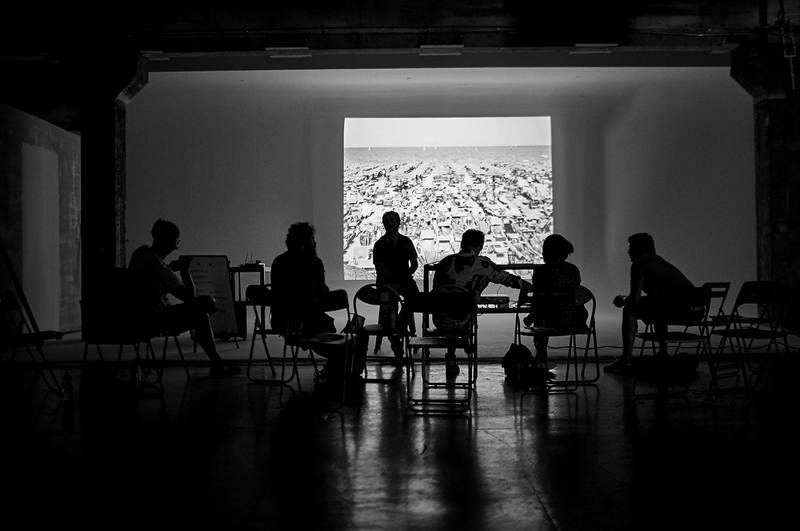 – The results of jury work will be announced within the days of the festival of 2015 at the finalists’ exhibition opening. – The finalists and winners’ exhibition and the special multimedia show will take place in the framework of the VI International Festival of photography PhotoVisa. Works will be published in the catalogue of the Festival and at the Festival’s website.